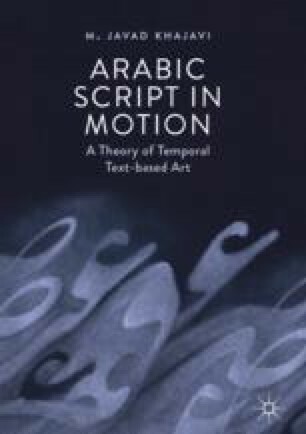 This chapter concludes the book by presenting a summary of the proposed typology of temporal behaviors for Arabic script in temporal text-based art. In addition, potential further applications of the proposed typology and terminology are briefly sketched. By enumerating some of the most recent developments in new technologies and platforms (such as Google TiltBrush, AnimVR, Quill, and Processing) in the exploration of temporal Arabic text-based art, the book provides some recommendations for future practice and research directions.